In December 2017, President Trump signed the new tax plan into law. This new plan changed the federal income tax brackets for the 2018 tax year, which you will file in early 2019. (If you’re preparing for next year, you can read this article for all of the details on the Trump tax plan and how it could impact you.) Let’s take a look at the federal income tax brackets for the 2018 tax year. The U.S. currently has seven federal income tax brackets, with rates of 10%, 12%, 22%, 24%, 32%, 35% and 37%. If you’re one of the lucky few to fall into the 37% bracket, that doesn’t mean that the entirety of your taxable income will be subject to a 37% tax. Instead, 37% is your top marginal tax rate. With a marginal tax rate, you pay that rate only on the amount of your income that falls into a certain range. To understand how marginal rates work, consider the bottom tax rate of 10%. For single filers, all income between $0 and $9,525 is subject to a 10% tax rate. 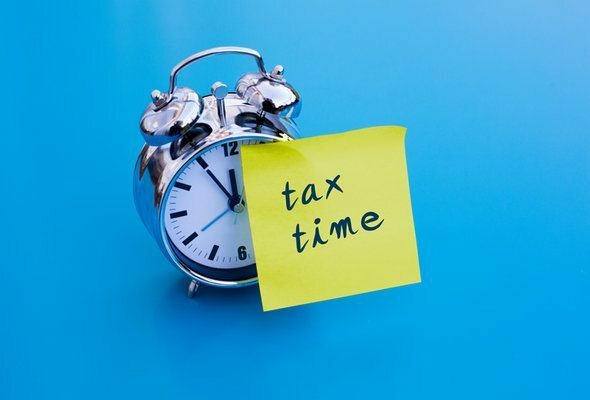 If you have $9,700 in taxable income, the first $9,525 is subject to the 10% rate and the remaining $175 is subject to the tax rate of the next bracket (12%). Check out the charts below to see what your top marginal tax rate is. Only single people should use the filing status above. If you’re married but don’t want to file jointly with your spouse, your filing status will be “Married filing separately.” (See the second of the two tables below.) However most married couples choose to file their taxes jointly. If you’re planning on choosing this filing status, consult the first table below. In rare cases, such as when one spouse is subject to tax refund garnishing because of unpaid debts to the state or federal government, opting for the “Married filing separately” tax status can be advantageous. Lastly, here is the tax rate breakdown for taxpayers filing as “Head of household.”As you can see, the brackets for individuals filing singly and those whose filing status is “Married filing separately” are not the same. Wondering why only a small percentage of married people opt to file separately? In most circumstances, filing jointly provides a tax break. Be sure to check the requirements for the “Head of household” filing status before you plow ahead with your taxes. To qualify for this filing status, you must pay more than half of household expenses, be unmarried and having a qualifying child or dependent. America’s top federal income tax bracket has fluctuated quite a bit since the federal income tax was first introduced. It’s hard to believe now, but top federal income tax rates were once as high as 92%. The tax reform passed by President Trump and Congressional Republicans lowered the top rate for five of the seven brackets. It also increased the standard deduction to nearly twice its 2017 amount. The new standard deduction is $12,000 for single filers and married filers who file separately. Joint filers will have a $24,000 deduction and heads of household get $18,000. Tax filers will need the 2018 federal income tax brackets when they file taxes in early 2019. Your top tax bracket doesn’t just depend on your salary. It also depends on what deductions you take. 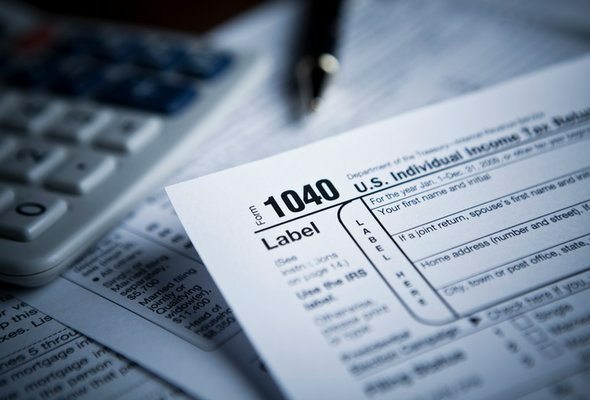 Deductions can knock you into a lower tax bracket, shaving money off of your tax liability (or increasing the size of your tax refund) in the process. That’s why it’s in your interest to make sure that you’re taking the deductions for which you’re eligible, whether you use tax preparation software (like TurboTax or H&R Block), seek help from a tax accountant or go the DIY route. Update: So many people reached out to us looking for tax and long-term financial planning help, we started our own matching service to help you find a financial advisor. Our free financial advisor matching tool can help you find a person to work with to meet your needs. First you’ll answer a series of questions about your situation and your goals. Then the program will narrow down your options to three who suit your needs. You can then read their profiles to learn more about them, interview them on the phone or in person and choose who to work with in the future. This allows you to find a good fit while the program does much of the hard work for you.